We have just received news that Dr. Abdullah’s Civil rights and right to protest are being threatened. Melina Abdullah is a prominent leader of Black Lives Matter LA.and an outspoken critic of the racist police policies in LA and the U.S. Currently District Attorney Mike Feuer is attempting to bring 8 misdemeanor charges against her. If convicted she could go to jail, or even be put on probation. Even if put on probation, one of the terms of her probation could be a mandate that she not be involved in any community activism. Losing one’s civil right to protest is an egregious penalty. These fictitious charges are a threat to all of us fighting for civil and human rights. Big props to Dr. Abdullah. 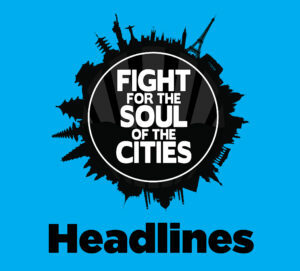 The city must drop the charges now! At a time when every institution in L.A. and the U.S. is driving Black people out of their historic neighborhoods and areas of concentration, this is another act of genocide against Black people. The system is making Dr. Abdullah a test case. Let’s make this a test case of the civil rights and Black Liberation Movement fighting and winning now! The Strategy Center Stands in Full Solidarity with Dr. Abdullah. We urge you to do as much as possible to support this struggle. 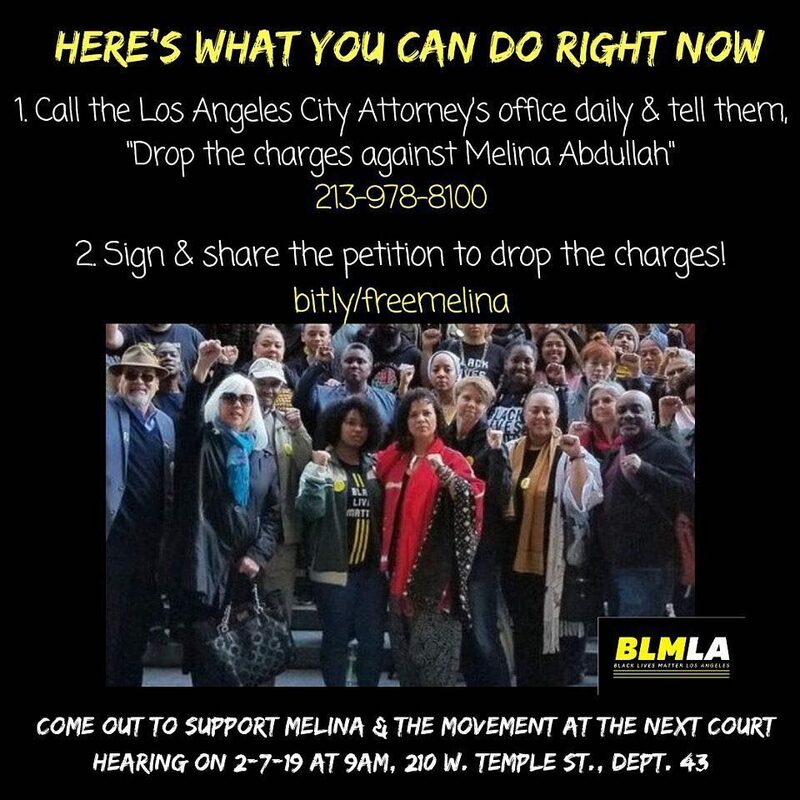 Call City Attorney Mike Feuer (213) 978-8359 and demand that he drop all charges against Dr. Abdullah!